ARPI, is a multi-functional modular system composed of three subsystems (primary AM processing, secondary operations, and monitoring), each of which can function either in a stand-alone or integrated manner in a common command-and-control environment. It can be viewed as an advanced multi-functional 3D manufacturing platform. ARPI provides an integrated processing platform and environment for enhancing part accuracy, surface finish, and material properties beyond the current capabilities of customary DED (currently the primary AM processing method). 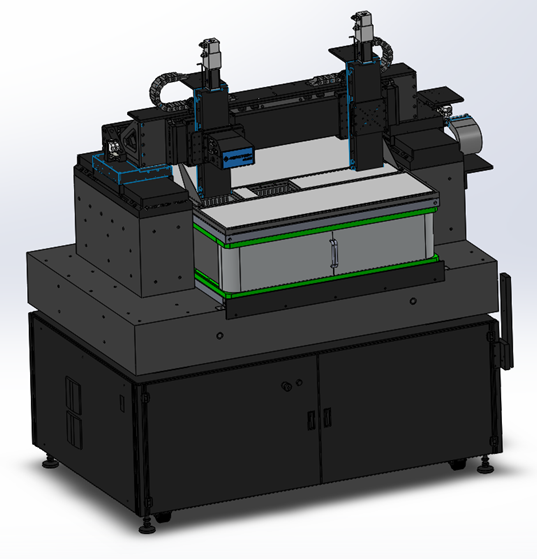 IPG YLR-1000-WC continuous wave Ytterbium fiber laser at 1070 nm wavelength and a maximum power of 1 kW for additive processing.